11:00 a.m. - 5:00 p.m. - Join us in the Hilberry Theatre lobby as Santa Claus reads some favorite Christmas stories to the young and young-at-heart. 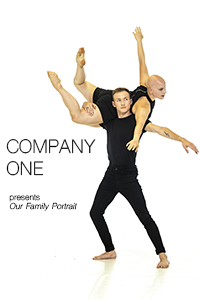 6:00 p.m. & 8:00 p.m. - In collaboration with Artistic Director, Lisa Rose LaMarre Wilmot, the Company One dancers have developed a unique 50min show centered around ideas and stories from inter-generational exchanges. Through movement, spoken word, and the creative process the dancers will engage you in an experience to remember. Come ready to see, think, and wonder. The show is for families and community members of all ages. NOEL NIGHT HOURS: 2:00 P.M. & 7:00 P.M.
2:00 p.m. & 7:00 p.m. - Join Ebenezer Scrooge on a ghostly adventure in Dickens’ classic story. When the miserly old Scrooge is visited by his former business partner, now deceased, he begins a journey into the past, present and future to learn the true meaning of Christmas. Will the old codger redeem himself? Can the spirits inspire him to a greater purpose? Find out this Christmas at the Bonstelle Theatre. At just 75 minutes, with no intermission, A Christmas Carol is perfect for families.